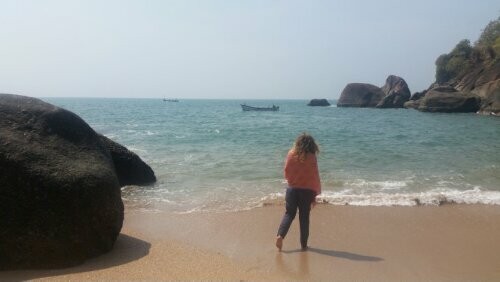 On our second day in India we flew from Kolkata in the far east of India to Goa on the south west coast. 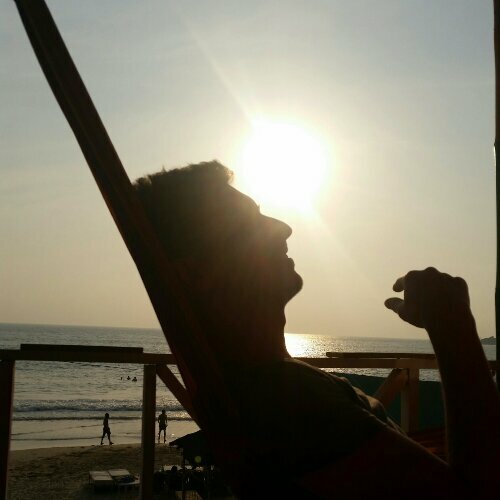 We decided to visit Goa a few months earlier, after expressing a desire for some R&R from the normal busy travelling, and the presence of unpolluted air and direct sunlight. The flight across country took over 3 hours, highlighting the vastness of the country. It was immediately obvious that we had set foot in a very different culture when we arrived. Gone were the honks of the busy traffic, and gone were the multitude of colourful saris donned by the devoted women of Calcutta. Instead they were replaced by clear roads enveloped with palm trees and middle aged hippies with leather skin. 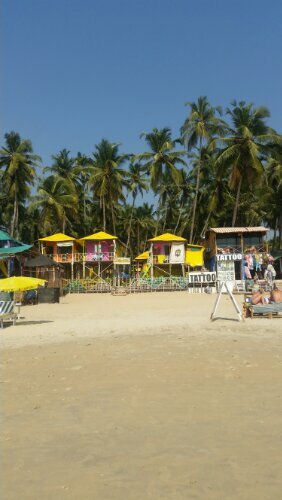 We spent our first evening in Benaulin beach having opted for the relaxation of South Goa over the party scenes in the North (beginning to show our age). 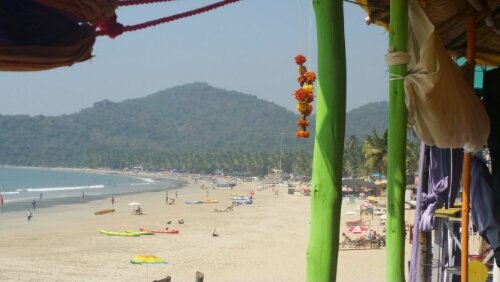 This particular beach was chosen because, out of chance, one of Nicki’s friends was in Goa at the same time. We checked into a lovely homestay room not far from the beach where we are able to drop off our backpacks and walk down to the beach before sunset. At the beach we met with Nicki’s friend, Claire, at the beach and shared a few drinks with her before meeting her mum for dinner on the sand. Together we enjoyed another delicious curry. In fact we have been very pleasantly surprised at the effort that seems to go into every meal here, no matter how cheap. The food never appears quickly after we order and we have taken that as a good sign. It was nice for Nicki to catch up with one of her friends from home and I’m sure it was a little odd for her to have her life in China cross paths with her English life. 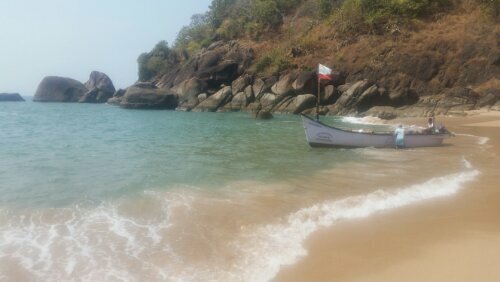 We woke up the next morning in our comfortable homestay and headed for Palolem beach further south on the recommendation of James, who had stayed there previously. We caught the attention of many taxi drivers who seemed to be offering us inflated prices for a taxi journey south. On reflection the price difference was not more than a couple of pounds, and I was a little worried that my stubbornness for a good price would annoy Nicki. I don’t think it did and we did end up getting a decent price in the end (although the driver did make us get out of the car to look at a tree which resembled an elephant, and therefore Ganesh. I’m not sure he even believed it himself). We eventually did arrive at the beach and immediately realised why it was so recommended to us. It had golden sand, clean water and it was enclosed by green hills at either end. 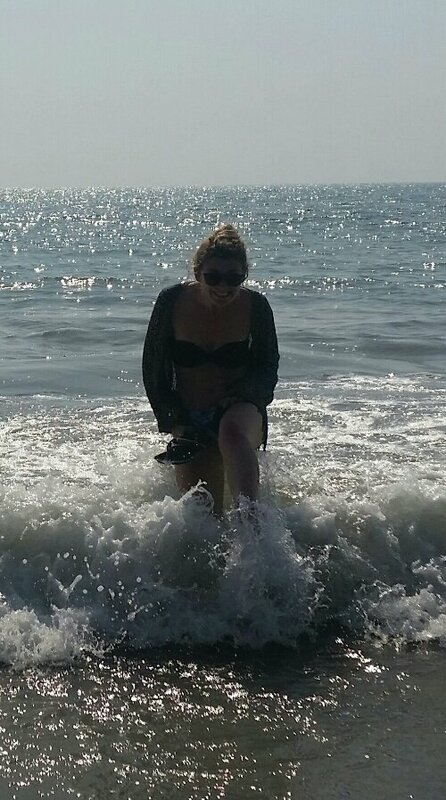 Nicki was left to sunbathe with the bags whilst I went in search of a beach hut for is to stay in. I went to a few and bargained for a decent price before settling for one with a view of the water. Before transporting our luggage to our new room we both lay in the sun with a beer in our hand, satisfied that a couple of days relaxing on the beach would do us good. When we did eventually move our luggage to the hut we were soon back on the beach, moving between a lounger and the sea. We both considered when we last had a similar experience. 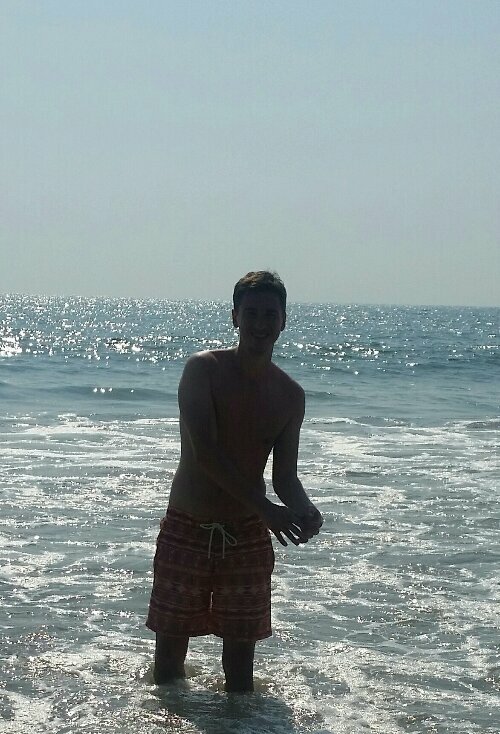 The last time I had sunbathed was in Israel 18 months prior, and Nicki’s was around the same time. As a result of this, and the lack of UV rays in China and a summer holiday last year, we were whiter than we have ever been. To such an extent that an Indian woman reminded us: ‘you are so white, be careful in the sun’. 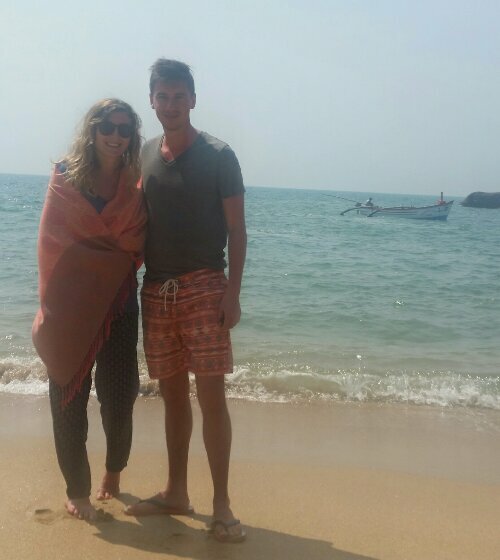 Despite repeated application of our sun cream it soon became clear that neither of our bodies had any resilience to the intense sun reflecting off the Arabian sea. Unfortunately, it was a little too late by the time we realised. 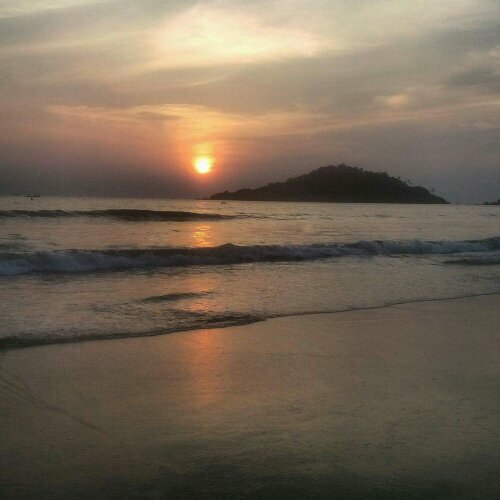 The sunset in Goa is stunning and made for quite a romantic end to the evening. I find something captivating about the sun. 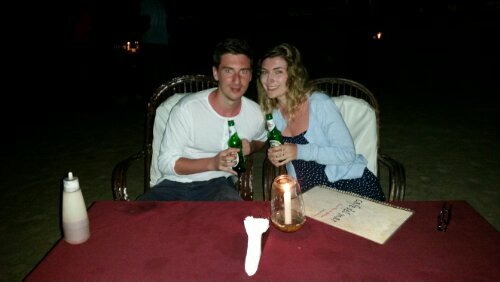 We had another curry on the sand before we could awknowledge the extent of our sunburn before returning to our sea facing shack for a swing in the hammock and a night under the mosquito net. 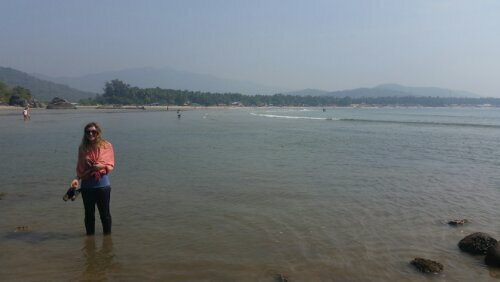 The second day in Goa was a little different. 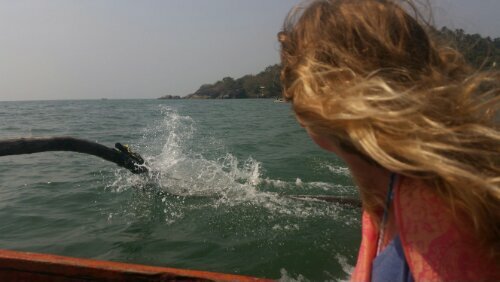 We managed to wade across the small sea separating the main land from an island before boarding a boat to see some dolphins. We spent an hour at sea on the boat with some other tourists and got a few fleeting glimpses of the dolphins leaping from the ocean. We also spent time on a beach named butterfly beach. However, as the photos probably suggest, the sun from the previous day made us fear any great exposure again. 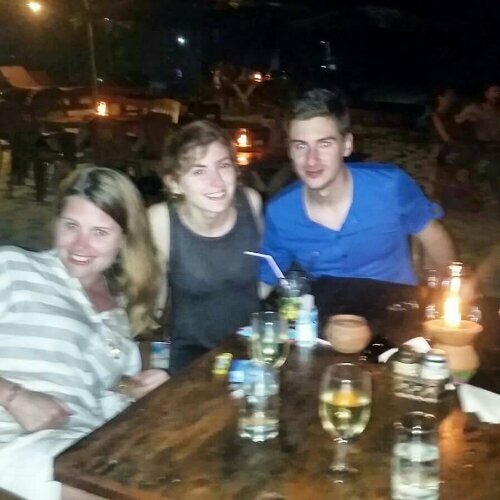 This meant that we returned to the main beach and spent the majority of the late afternoon tucked inside a bar with cushions for seats and enjoyed the sea breeze in some shade like a couple of cowards. 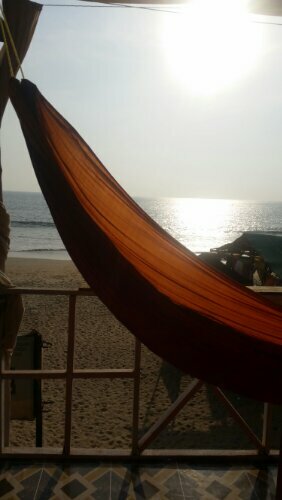 This lead to our final night on Palalom and in Goa. We had another fantastic meal with a few beers and a candle light and reflected on a fantastic few days of rest, sun and peace. We were now ready to rejoin the noise and crowds of India by moving on to Mumbai.